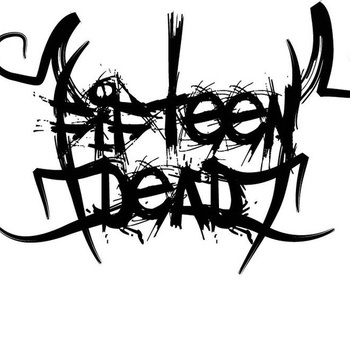 Fifteen Dead are a band from Scotland that plays a mixture of raw and primitive sounding black metal and crust punk and this is a review of their self released and self titled 2011 demo. Rhythm guitars range from slow, mid paced to fast riffs that combine raw and primitive sounding black metal with crust punk to create a sound of their own with some dark sounding melodies being thrown into the riffing as well as a brief use of soft and clean playing, while the lead guitars are very melodic sounding black metal guitar solos and leads. Vocals range from crust punk style shouting to high pitched black metal screams, while the lyrics cover anti religious and political themes, as for the production it has a very heavy, raw and primitive sound to it. In my opinion Fifteen Dead are a very great sounding hybrid of raw and primitive sounding black metal and crust punk and if you are a fan of this musical genre, you should check out this band. RECOMMENDED TRACKS INCLUDE "This Is Scotland" and "Our Birth Spells The Death Of God". RECOMMENDED BUY.